RP's Head Studs are used by virtually every top professional engine builder. Simply stated, there’s not a better stud setup on the market today. These head studs are manufactured to exact tolerances, heat-treated, centerless-ground and thread rolled to ensure consistent clamping force strength and durabilty. Only premium grade 8740 alloy 190,000 psi tensile strength material is used, which is rated far superior to “aircraft” quality alloy steels. Head studs allow easy installation of both cylinder heads and gaskets, eliminating guess work of alignment. 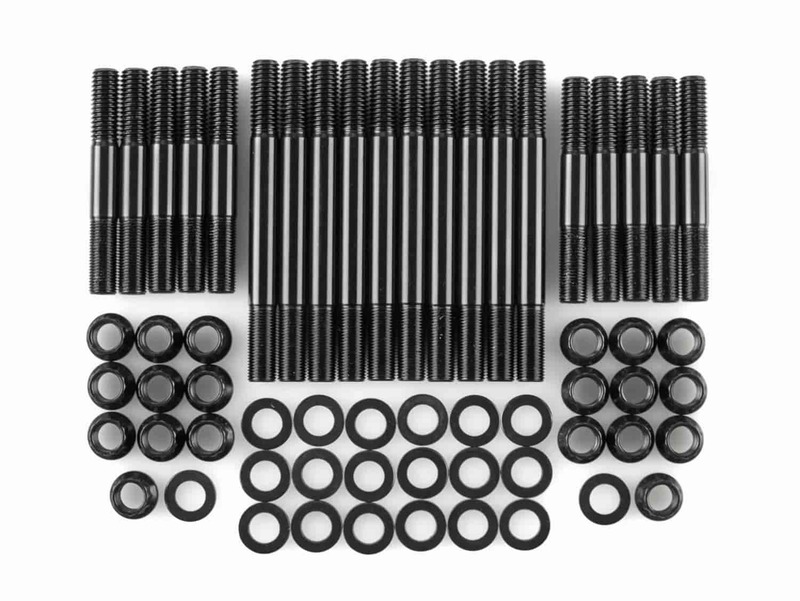 Each head stud kit comes with 12-point head nuts. Also available are Head Studs With Hex Heads. Does ARP 155-4201 fit your vehicle?